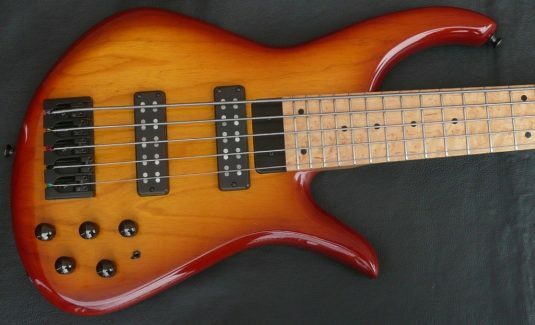 Often times the first question I am asked is ” How much does it weigh ? 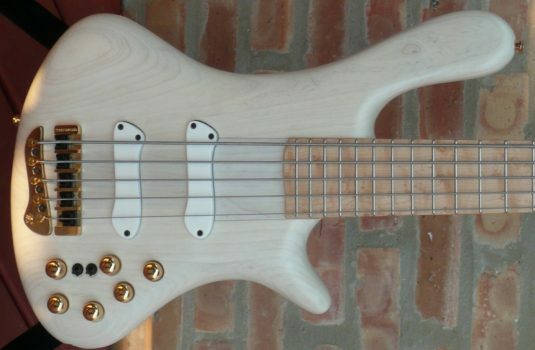 With that out of the way , this bass is a US made bass with many hands in the mix. 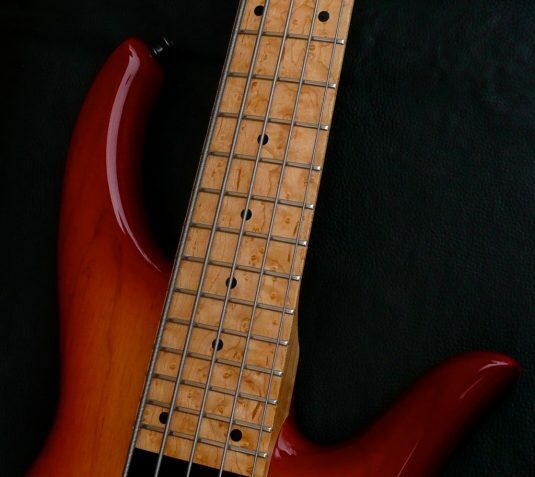 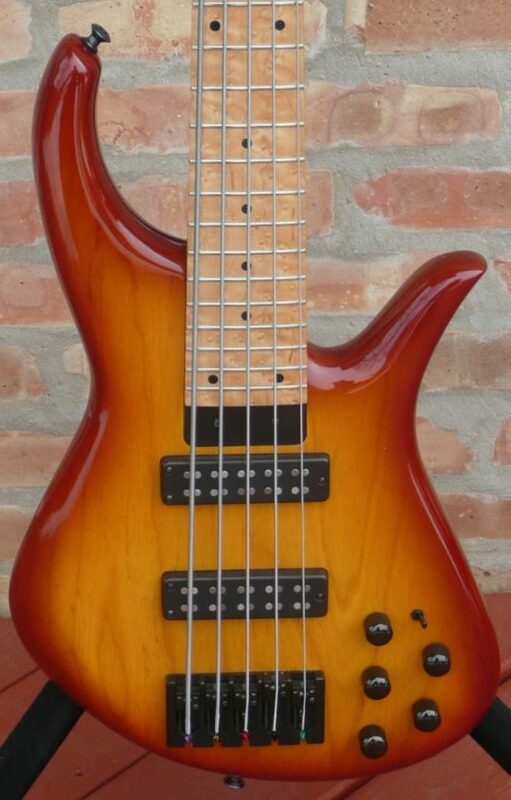 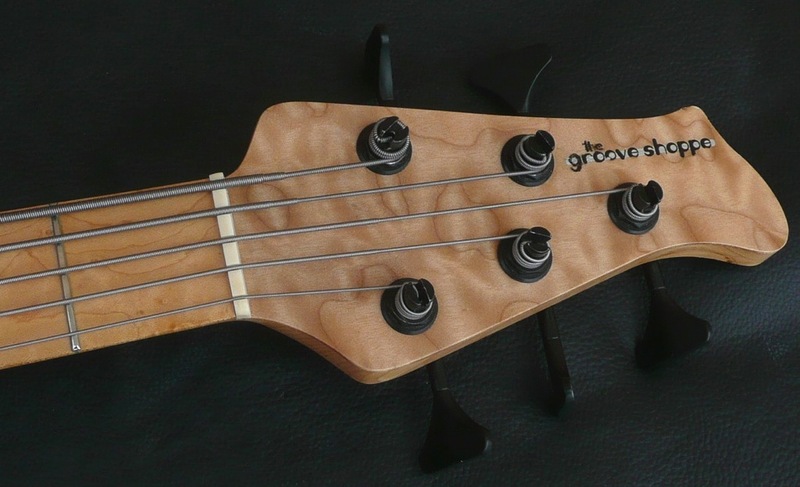 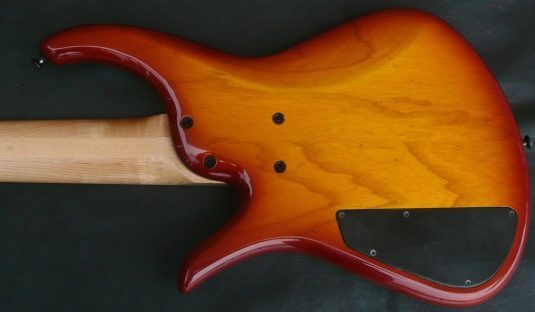 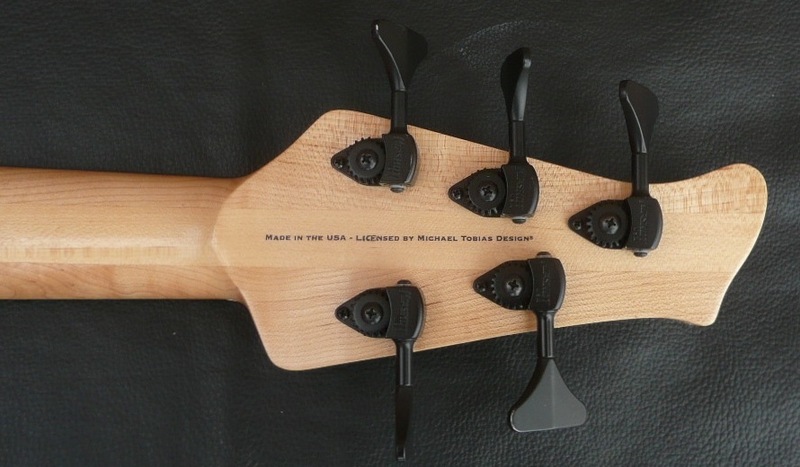 Designed and licensed by Michael Tobias, sold by The Groove Shoppe ( a NY based bass shop 2003 -2008 ) , US made body and neck , fretwork and assembly by David Segal ( New York Bass Works ) , this bass was made circa 2006-2007. 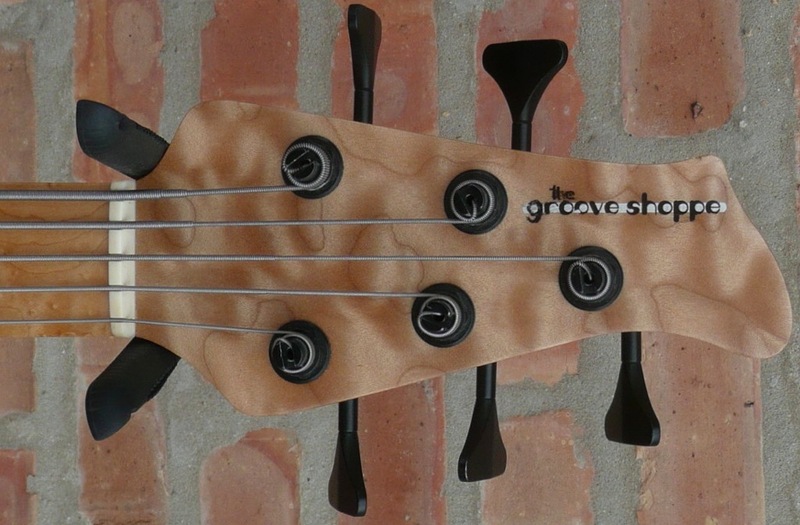 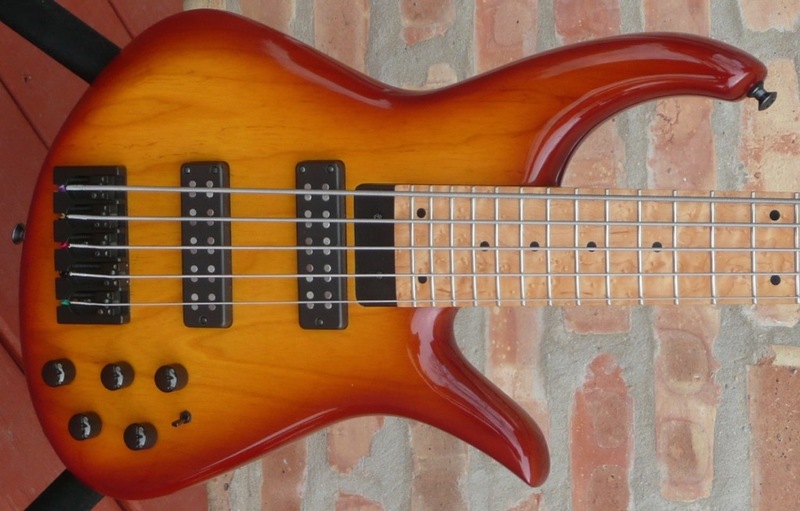 One of the Groove Shoppe’s former owners told me they made no more than 20 of these basses. 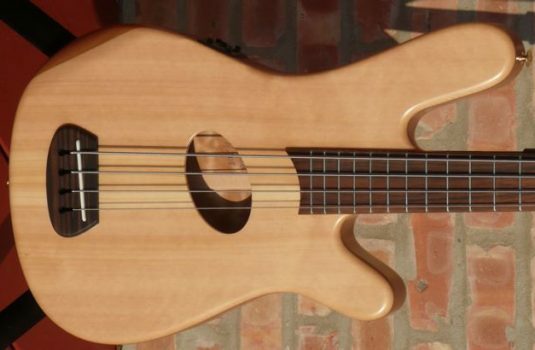 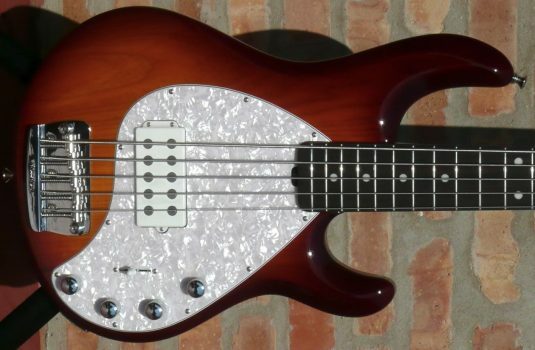 So, this is a great bass , and rare at that.